We do understand the fact that many of you would like to try our Mobile Solution in advance in order to make sure you make the right investment into our mobile app. Small monthly payment not only help you to slip the bill but also encourage us to keep going on improving our product. The monthly payment is $69 (*) – Setup Fee and Splash Login Integration is not included. Mobile Application is essential to the success of any Social Network. YouNet Mobile Application for phpFox based site is a perfect answer to this need. It does not only bring the better way for your users to experience your site but also make your site more professional. This is a Mobile Native Application, which could help your user easily to access your site from iOS, Android Phone, Tablet Devices. It does not only bring the better way for your user to experience your site but also make your site more professional. 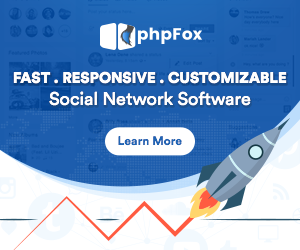 The unique design is specially designed for phpFox based Social Site, users still find it’s very easy to use just as Facebook, Google Plus, but still, the core of phpFox and your site are still there, which is distingue your application to Facebook one. We install on server side and build application for your: apk, ipa. 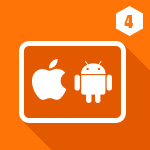 Subscription Plan also includes the applications building process and the period that takes to submit the applications to app stores as well as the time waiting for approval from Apple and Google. Splash Login and Build Fee are NOT refundable. Source Code can only be purchased if you make one-time payment under restricted conditions. Price is NOT included in License Cost ($600). Kindly contact us for more information.